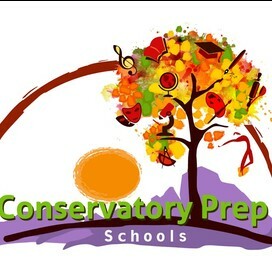 Conservatory Prep Schools is a progressive, college-prep, private middle and high school located in Davie, Florida, the heart of Broward County. We feature Edluministic learning, which is the integration of the performing and visual arts with problem-based learning. Our school is designed to meet the needs of gifted and creative students who are not meeting their potential in a traditional school setting. The Florida Council of Teachers of Mathematics named Mrs. Hawkins 'Teacher of the Year' this morning. We are so thrilled for her. On Tuesday morning we would like to have a pot luck breakfast and invite all of our families to join us.we should be finished by 9:00am. Please respond in the comments below if you will be attending and what you would like to bring.